Anastacio Garcia may have been from the Dominican Republic, but his new teammates in Medicine Hat, Alberta seemed to already know him, according to Sports Illustrated. Or, at least, his grin. In a feature on minor league baseball and his Medicine Hat team in July 1990, Sports Illustrated referenced Garcia's teammate's nickname for him based on that grin: Freddy, after Freddy Krueger. Garcia served as a catcher on that team in his second season in the pros. He went on to play in two more. He never made AA. 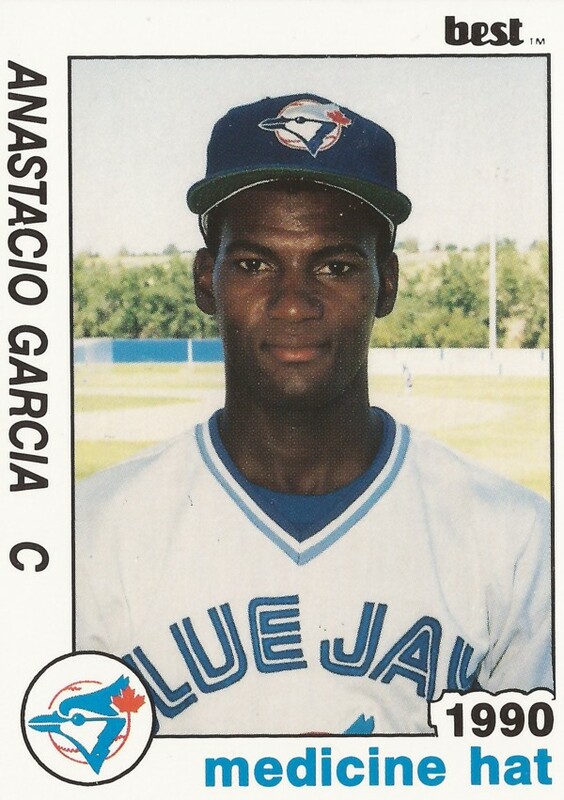 Garcia's career began in 1988, signed by the Blue Jays out of his native Dominican Republic. 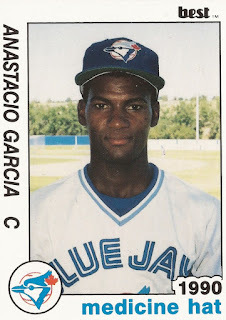 Garcia started with the Blue Jays at short-season St. Catharines. He got into four games, going 3 for 10. He knocked in two. After not being recorded as playing in 1989, he returned to Medicine Hat for 1990. He got into 18 games that year, hitting .188. At high-A Dunedin in 1991, Garcia knocked in a run on a sacrifice fly. Overall, he hit just .122 in 25 games. Garcia's final pro season came in 1992 at single-A Myrtle Beach. In 34 games, he hit .196, ending his career.